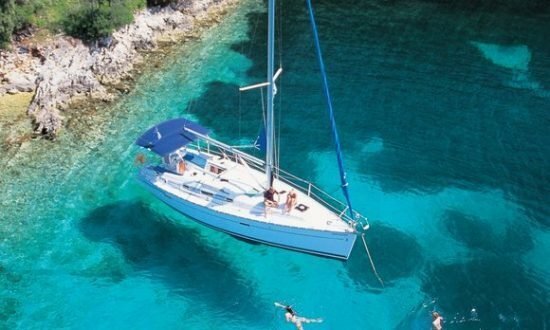 Sail the places you have always dreamed of on board any of our stunning monohulls and catamarans. If you want the experience, we have your dream boat. With many premium manufacturers represented you will have a chance to explore the world on your dream yacht. Kick off the lines and join the most dynamic global fleet for your next bareboat vacation. 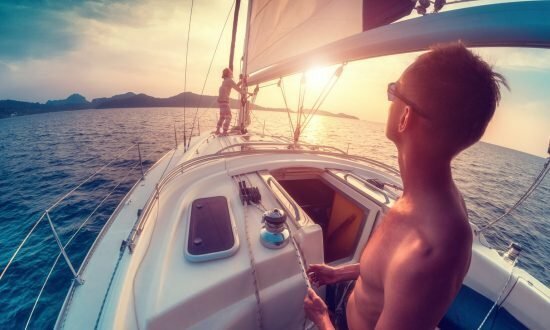 If you have sailing experience, an adventurous spirit, and yearn for that live-aboard lifestyle, then a bareboat charter is definitely for you. Bareboating provides the utmost in freedom and privacy – do whatever you want, whenever you want to! We usually ask that you have sailing experience on a boat of similar size. It’s also helpful to have at least one crew member of similar experience. 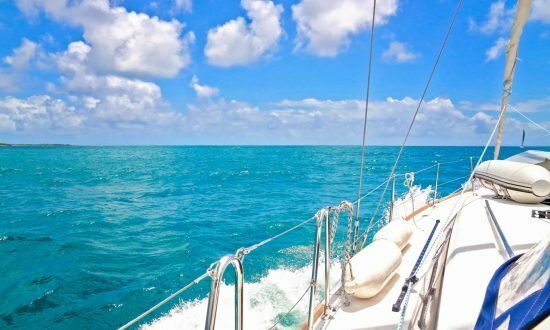 While a bareboat charter certificate is not usually mandatory, safety is always our #1 priority. Even if you’re highly experienced, we recommend that you take the NauticEd Bareboat Sailing Series of courses. Refresh your knowledge on anchoring, navigation, maneuvering a large sailboat in a tight marina, and other nuances of bareboat chartering. If you are still unsure of your sailing abilities, or simply want the knowledge of a local skipper, you can hire a professional captain at a daily rate, then continue on your own when you feel comfortable. If you’d rather not cook, hire a chef and have all of your meals prepared for you. Our goal is simple: we want to make your bareboat charter a pleasant and fun experience, whether you’re new to chartering or you’ve done this a million times! It all starts with our amazing staff – from our base managers, skippers and personal chefs, to dock hands – they’re all dedicated to personalized service. Fill out an Information Request form, and a booking consultant will contact you to discuss options, specific desires and your requirements, all with the goal of matching you with the perfect yacht. Dream Yacht Charter bases are carefully selected for their small sizes and perfect locations: a little more removed from the main crowded cities or towns. This gives you the option of spending a quiet first or last night on the boat while taking advantage of the marina’s amenities. In addition to smaller bases and a high level of personal attention, we offer only the highest quality yachts. We’ve partnered with the best shipyards in the world, and take great care to choose yachts that provide sailing performance as well as comfort and space. Our yachts come from such innovative yacht builders as Catana, Beneteau, Lagoon, Jeanneau, Fountaine Pajot, and Dufour. We own and operate the only fleet of Catana catamarans in the world. Known for high performance and design, Catanas represent the gold standard for quality and performance in sailing catamarans. If you’re still not comfortable, they can arrange for the addition of a skipper (at a nominal fee) to assist you on a daily basis until you feel confident that you can manage the boat on your own. All of our yachts meet the highest safety requirements, are very well maintained and undergo regular technical checks. Should a technical failure happen despite our highly professional maintenance, we commit ourselves to repairing the failure within 4 hours following your call to the base during working hours (8 am to 5 pm). If you lose more than 4 hours (during working hours) we will refund you one full day. If the repair takes more than 1 day, we will provide you with a similar boat or refund you on a pro rata basis. In case of emergency, you can rely on our hotline, at any time, 7 days a week. 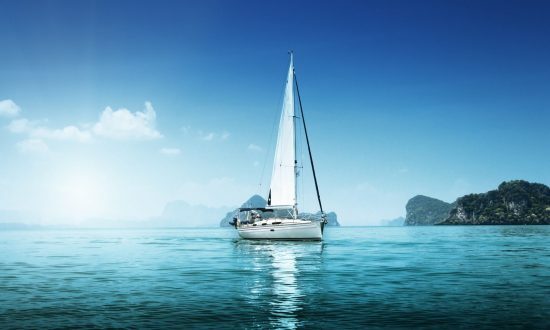 Please note that the Dream Yacht Charter Guarantee applies to essential equipment only and does not apply to the repair of ancillary equipment, including but not limited to Genset, Air Conditioning or Watermaker.